Brad Hutchins focuses his practice on representing developers, builders and investors in litigation, land-use and zoning, and other real estate issues including contract and lease negotiations and transactional matters. He began his legal career in courthouse record rooms learning to run title so he could understand real estate law from A to Z. This provided a solid foundation for handling real estate matters including residential and commercial closings and transactions. Almost 20 years later, he now handles all legal aspects of real estate litigation from cases involving land-use and building permits to sophisticated commercial and financial services and construction related issues. Brad also represents clients with tax liens and tax deeds. With two decades of experience working with clients involved in the purchase of property tax liens and tax foreclosure deeds, Brad has handled hundreds of quiet title actions in the superior courts across the state. He has also handled hundreds of successful suits in property tax-related cases, including more than 20 published appellate cases. He serves as General Counsel to the Georgia Association of Tax Officials (GATO) and is the co-editor of the Georgia Property Tax Law Blog. Brad is also a registered lobbyist with the State of Georgia and routinely assists clients with their local and State legislative efforts. Prior to joining Weissman, he was a Partner with Proctor Hutchins where he represented small businesses, builders, investors and developers in litigation and transactional matters. 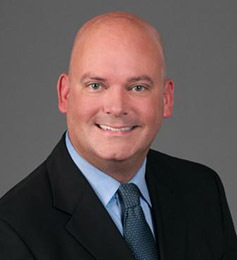 He is admitted to practice in all Georgia trial and appellate courts, as well as the United States District Court for the Middle District of Georgia, the United States District Court for the Northern District of Georgia, the United States Court of Appeals for the 11th Circuit, and has been admitted pro hac vice in cases before the United States Court of Appeals for the 6th Circuit. Active in the community, Brad is a member of the Title Standards Committee of State Bar of Georgia, an advisory committee member of the Council for Quality Growth and Vice Chair of the fundraising committee for the Make A Wish Foundation of Georgia. He is a past member of the Executive Committee of the Real Estate Section of the State Bar of Georgia and past chair of that section’s Property Tax Committee. Brad has been named one of the Legal Elite: Georgia's Most Effective Lawyers by Georgia Trend Magazine. Brad is “AV” rated by Martindale Hubbell for outstanding legal ability and legal ethics.